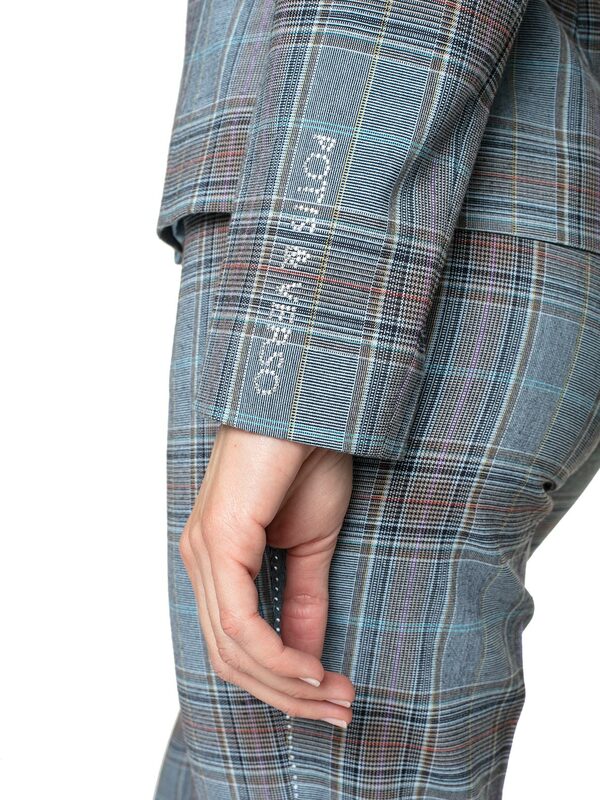 Willow is a classic elegant jacket in a checked pattern. Willow jacket has a feminine cut close to the body, emphasizing the figure. The checked pattern is in blue and brown. Additional details decorating the jacket are buttons and pockets. Willow has a V neckline and a length for hips. With such a feminine jacket, it will look good to wear a close-fitting bottom. Combine Willow with long trousers of the same name from the Potis & Verso collection. You can also match the jacket with smooth, blue or brown trousers. Shoes or handbags in distinctive colours, such as mustard, bright red or orange, can add a touch of colour to this style.